Fridges can get pretty messy and pretty gross, and it’s not really avoidable. I mean they’re holding drinks and perishables, so I suppose it’s a given. But that doesn’t mean we can’t make the fridge easier to deal with. And that’s why I decided to find some awesome hacks that will help you keep it clean. Also, forgetting about foods that can go bad isn’t great for the wallet either, so these tips will do you well. 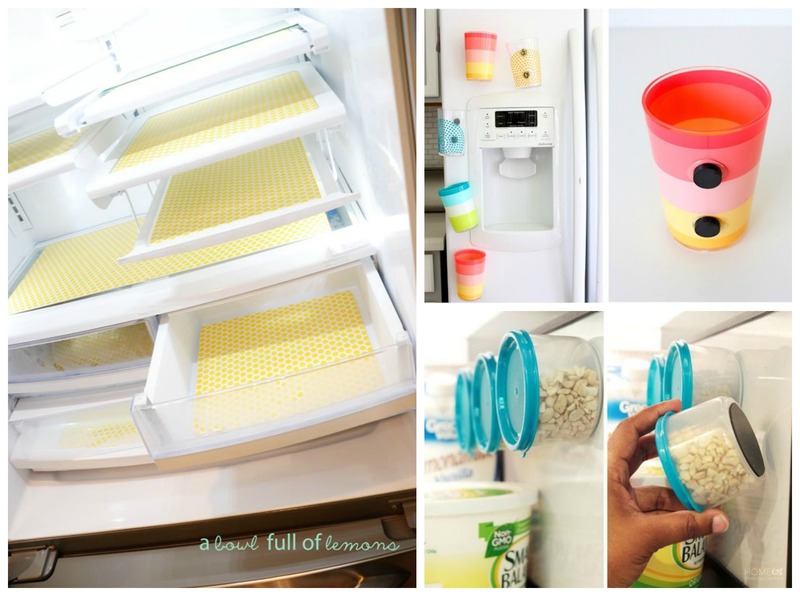 Now down below I found some awesome tips from great blogger’s lists on fridge hacks. I love finding ideas from other bloggers and sharing them with my readers. And I especially love sharing the links to their lists so my readers have the opportunity to read even more tips and tricks. So check out the hacks down below and feel free to click through to the lists to read even more ideas! If you have trouble keeping track of your perishables, then this is a great way to make sure you use up anything that could go bad first. You can get a storage box here! A fun way to keep things organized and easy to grab is by adding a Lazy Susan to your fridge. And whether you want to use it for your condiments or jarred goods, it will definitely make things more accessible. You can get a Lazy Susan here! A fun (and kinda cute?) way to to add more space to your kitchen is to glue magnets to the bottom of containers. Gives you the option to stuff more things in the refrigerator during Thanksgiving than it already can. You can get the containers and magnets here! Alright so this is more of a food hack, but I couldn’t not share it. I mean you are using your fridge to save herbs that’ll go bad (with olive oil ), which will save you money. So I think it’s worth sharing. If you want a way to save money and get the most out of your condiments, then try placing them upside down in an egg carton. That’s recycling right? Now if you have kids, this is a handy one. It keeps kids from using too many cups and it makes them easy to reach so there are less messes. You can get the magnets here! So if you’re tired of drinks spilling or sauces getting everywhere, this is a super easy way to clean up messes and save yourself some time. You can find the fridge liners here! Now whether you’re a parents trying to keep up with your kid’s messes or you want to save money by using the last of the ketchup bottle, there are plenty of fridge hacks to use. It may be one of the least fun places to clean, but thankfully there are plenty of ways to keep it a “once in awhile” chore. 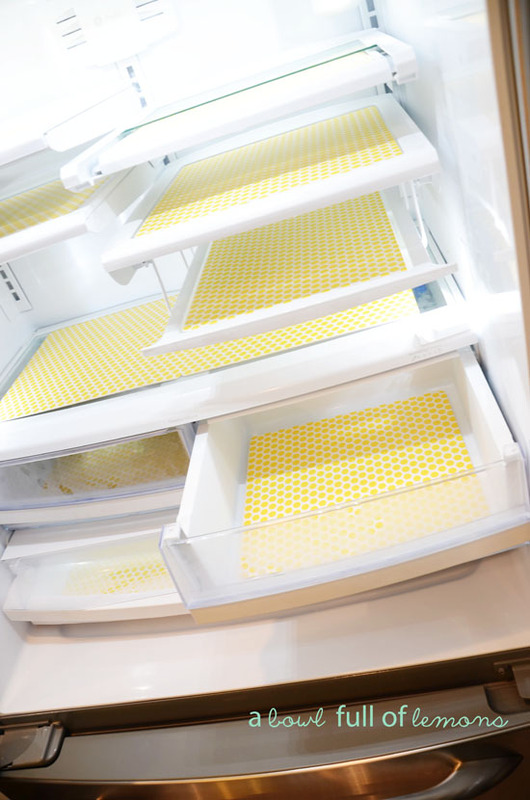 Now if you have any fridge hacks yourself, let me know in the comments down below! I’d love to hear about them! Thank you so much for this! My fridge is a MESS!!! It is eating my brain cells! These are some great ideas! I have a coated wire shelf (the kind made for kitchen cabinets) that basically doubles the storage of my highest refrigerator shelf. It’s great for doubling the amount of things like yogurt containers that I can store in the same footprint.